I’ve had this tutorial on one of my Pinterest Pinboards for a while, and thought today would be a great day to give it a whirl! Right now, it’s long enough to be a choker. It worked up so fast—this section took less than a half hour! 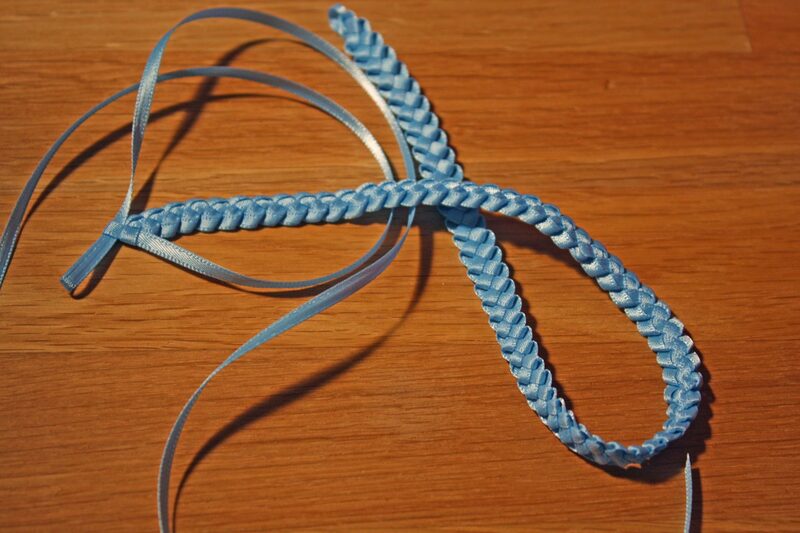 If I had discovered this when I was about 10, I’d have been a prolific ribbon friendship bracelet weaver! I haven’t finished it off yet. I think I’ll be adding onto it another day. Perhaps stitching on some beads! I also think I’d like to try more of these using different fibers and adding in beads and inclusions. I could see this in white with some Swarovski crystals dangling off for a lovely little bridesmaid’s necklace!